Prepare for your most favorite recreational activity with our highly versatile Roof Rack Kit. All kits come with detailed instructions and all necessary hardware to install. 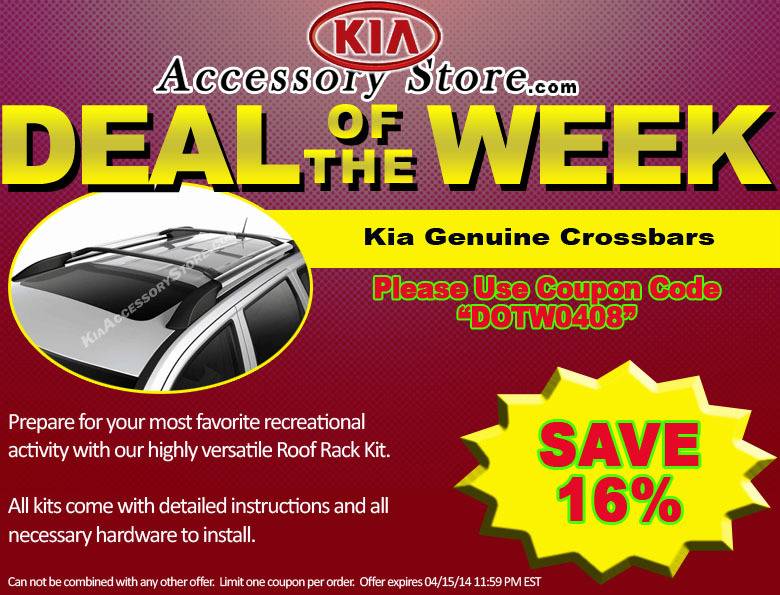 SAVE 16% ON GENUINE CROSSBARS - USE COUPON CODE "DOTW0408"
Can not be combined with any other offer. Limit one coupon per order. Offer expires April 15, 2014 11:59pm (EDT). Please call 1-800-509-2652 for complete details.